Tips to Keep Your Computer Working for You! Computers are a fact of life today. 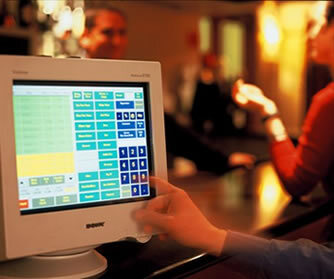 It would be tough to run a business, store or restaurant without relying on a computer in one way or another. The overwhelming penetration of the internet into our daily life is reshaping how we conduct our day to day business. Computers are machines and therefore will fail; it is an absolute certainty. Listed below in no particular order are some tips on how to make the failures less frequent, less costly and less devastating. Backup your data, if you don’t you will eventually lose data. Remember no amount of profanity will bring back lost data. No amount of money spent on hardware will save you from the hassle of doing backups. It is worth noting that the people with the most money to spend on their system infrastructure, banks, large corporations and governments are the ones that spend the most on backup systems. The single most important thing to know before you start backing up your data, is to know what data needs to be backed up and where is that data located. The second most important thing is that once you do perform your backups that you look at the backed up data and verify that you actually have backed up what you need to backup. If you don’t know what you need to backup you have to find out. There is no way around not knowing, don’t delay start today! First of all, any backup is better than no backup but some are better than others. There are many types of backup strategies but for most small businesses burning that data onto optical media, like DVD’s, is probably the best way to go. The media is inexpensive, lasts for years, is very transportable, takes little room to store and for the most part can be read on any computer out there. A writable DVD holds 4.5 gigs of data, that’s a lot of typing. If your storage requirements are larger than that there is a new type of writable optical drive called a Blu-Ray drive that will hold 25 gigs. Any good backup plan also requires off site backups. It doesn’t happen often but buildings do burn down, computers do get stolen. One would assume you have insurance on your building, business and probably life because you recognize that these things can happen. What about your valuable data? Today with high speed internet being available to almost everyone there are many services offering On-Line backup of data. These services are usually easy to use and lately the cost of such a service has become very affordable. With backups I prefer the belt and suspenders model, use more than one type of backup. Local backup to DVD and an On-Line backup service together is much better that just one or the other. In the geek tech world it is a dirty secret that many computer problems can be solved by simply turning the computer off and then back on. We call this powering down. Sometimes this will extend to internet modems and network hardware like routers. Once powered down, simply unplugging the AC cables from the gear and then plugging the AC cables back in is recommended. If shutting down and restarting the computers solves your problem in most cases all you can do is go on with your life. It is almost impossible to diagnose a single occurrence of a computer problem. If this happens to you it would be prudent to make sure your backups are up to date and to frequently save your work if possible. Make a note of your issue and see if it happens again. When a computer is giving us problems it often displays an error message. 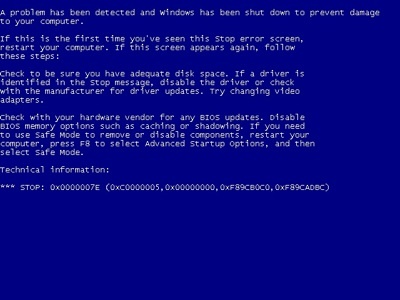 Computer error messages are often filled with codes, computer speak and gobbledygook terms. These messages are often quite long and are hard to write down and even harder to remember. When you have to get technical support to help solve your problem, being able to reproduce those messages could be very helpful in getting your problems sorted out easily and promptly. Here is a great tip. Take a picture of the message on the screen. Today we are surrounded by cameras; most people have one in their phones. Take advantage of this easy to use recording device. Once the picture is in your camera you can call it up at will when speaking to your friendly computer support personal. I assure you they will be impressed that you had the prescience to record the error codes. Most computers are air cooled by fans. Proper cooling helps the device run problem free for longer. Regular servicing of these fans is highly recommended. Usually a bit of compressed air is all that is required. In environments where there is smoke, oil or grease in the air we find that regular servicing is even more desirable as the regular dust we find in the air attaches itself to this particulate and makes it stick to the fans and cooling surfaces. While keeping computers and gear hidden away in closed cabinets can be attractive, such hidden storage areas can also cause overheating. Don’t forget about adequate ventilation if you are trying to hide these devices away from sight. Most of us have a considerable investment in the software and programs we use in our computers. 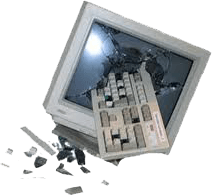 A common issue is that when problems arise and components are replaced or upgraded, sometimes we have to reload this software and it cannot easily be found. After all it could very well be years from the initial installation when next we need to access these assets. Once many hands start accessing your software assets it is very easy to have them spread around a place of business and quick location may be problematic. A good strategy is to have a cabinet or drawer where all of the computer software and documentation is stored. That way there is only one place to look. Any time a stray piece of software is found, move it to your storage cabinet. A lock is a great addition here. A list of what software assets you have is a good idea as well. It is worth noting that it is common for a software package to consist of a physical disk and a license code or serial number. Both are required to perform the installation. Many of us purchase software over the internet. A common model is that we download an installation file(s) and then have a code sent to us by email. The problem is that once the software is installed, our only copy of the installation file is on our computers hard drive. Should we have a hard drive problem, we have lost our software and in many cases have to buy that product again. An easy remedy is to burn that install file(s) to a CD and store it away. Remember we also need a copy of that code/serial number to complete the install so keep a hard copy of the email. It is possible to save a copy of the email to a file and then burn it on to our disk at the same time we backup our install files. Passwords, Codes, Pins Oh My! One strategy is to record these codes etc in a log book and keep all of this info together in one place. This would require safe storage of the log book. Sounds risky but we have so many of these codes to remember that it is quite common for people to record their passwords on sticky notes pasted to the side of their monitors which isn’t very secure at all. As a tech support person that has gone to many on-site locations to find computers stuck in hard to access areas with very short cables, I strongly recommend that extension cables be added so that mission critical systems can be serviced easily. Lengthening cables will allow such a system to be pulled out of its space, and looked at by a technician while it is still hooked up and running. This can make service to the unit much easier and faster. Cables are cheap; having the computers that run your business stop working is expensive. Most computer gear is designed for a 5 year life span. Some of it fails faster, a lot of it lasts quite a bit longer but I think that that is the design window. We are quite comfortable with changing the tires on our cars before they fail because we realize the danger of having them fail while we are driving. Our data is stored on a hard drive in our computer. If we have important, must-have data stored on a hard drive I think it makes sense to replace the hard drive every 4-5 years. 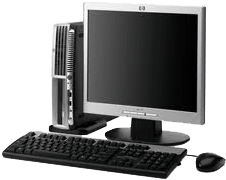 A good computer tech can usually take a working older drive and image it onto a new drive so that everything moves over to the new drive, data, operating system, installed programs, the works. A successful image to a new hard drive should be virtually invisible to the user; all you know is that you have a new drive that is usually larger and faster, safely holding your important data. In the world of computers service, the demon is the intermittent problem. Problems that can be produced on demand, like the computer won’t turn on or every time I click on the Print Icon my computer freeze, are the easy problems to solve because there is a tangible solution; the computer turns or you can now print. The tough problems are the ones that happen once every couple of days and then go away. What can help in solving the intermittent issues is to keep some notes on what is going on when the problems arise; what program, what website, whatever you were doing. This information can often help a technician zero in on your particular issue. Being able to cogently describe the problem your having can be of great help when talking to tech support staff. Try to arm yourself with the details of the problem, your hardware, your software. Remember that most of the time tech support is trying to help you so try to help them by giving them the best information you can.